If you buy 3 or more steel Canale Catchers®, or 1 copper Canale Catcher®, we will ship them free. Remember to choose the free shipping option at checkout. Questions on measuring or installation? Wondering if you can use your Canale Catcher® in winter? Check out our FAQs page! Canale Catchers® is now a member of the Santa Fe Green Chamber of Commerce. Using a Canale Catcher® can help you save water. Check out our new Installers page! 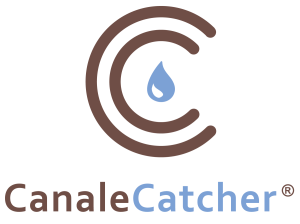 We now list licensed contractors who can help you install your Canale Catcher®. Do you have problems with your canales draining onto patios, sidewalks, walls, or roofs, and causing problems with flooding? Does the water damage and stain your stucco? Does ice form on your sidewalks, patios or driveways in cold weather and cause hazards? Even if you don’t have those problems with canale drainage, would you like a simple way to harvest rainwater from your roof? Placing a rain barrel under a canale is a good start, but water may miss it during high rainfalls, and winds will cause some water to miss the rain barrel. A rain chain helps but causes enormous icicles, and water still blows off it in the wind. Cutting a hole in your canale is difficult and time consuming and can lead to issues with sealing your roof and canales. What is a Canale Catcher®? 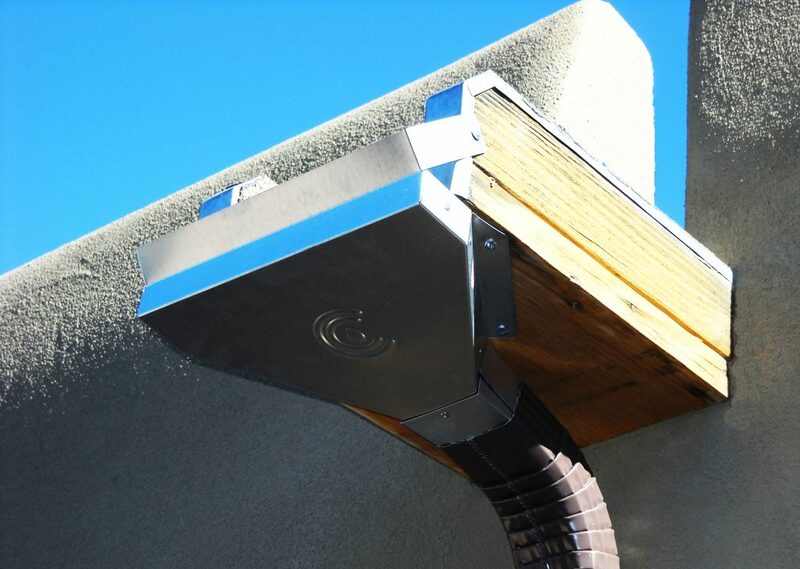 A Canale Catcher® is a part of a rainwater harvesting system that you can attach to your canale without modifying your canale or your roof. 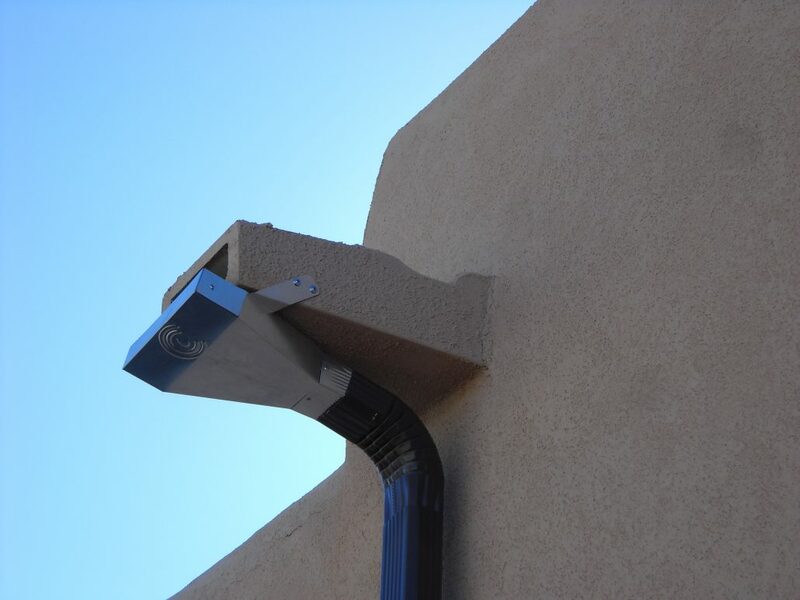 The Canale Catcher® is designed to accommodate the same water flow as a standard downspout: 158 gallons per minute. If the Canale Catcher® clogs with ice or debris, water will flow over the Canale Catcher® and into the same area your canale drains to now. 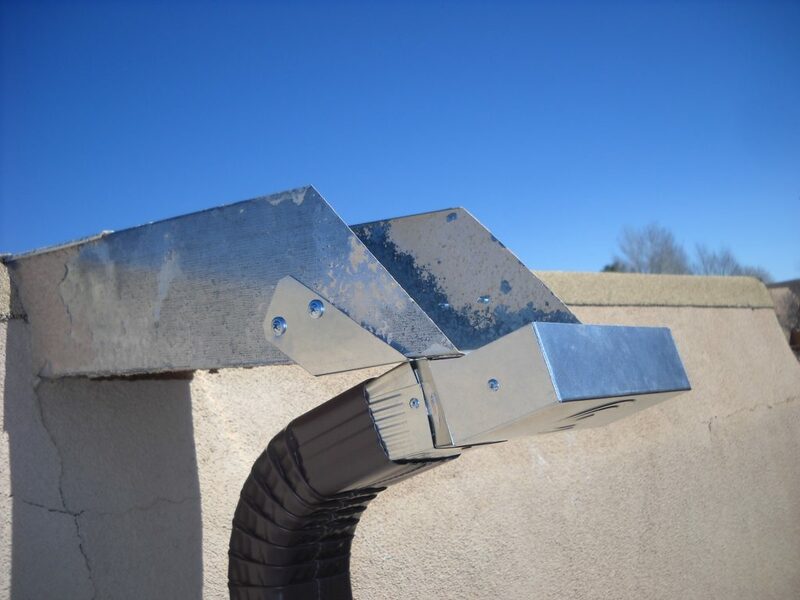 Canale Catchers® are easy to install and they fit into standard 2″ x 3″ downspouts. They come in both galvanized steel and copper and can be painted to match your stucco. 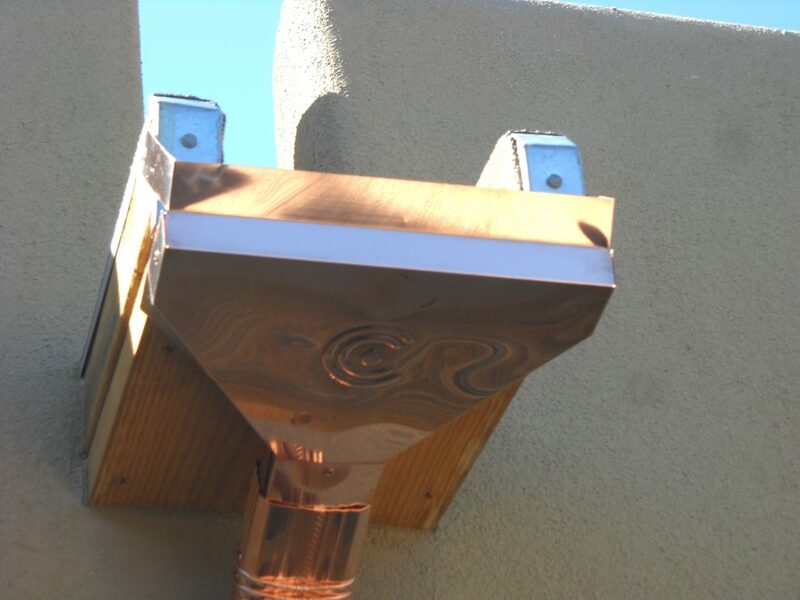 Canale Catchers® blend in attractively with Northern New Mexico architecture. We welcome customer comments! Please send your comments through our contact page. Canale Catchers® are made in New Mexico, U.S.A.